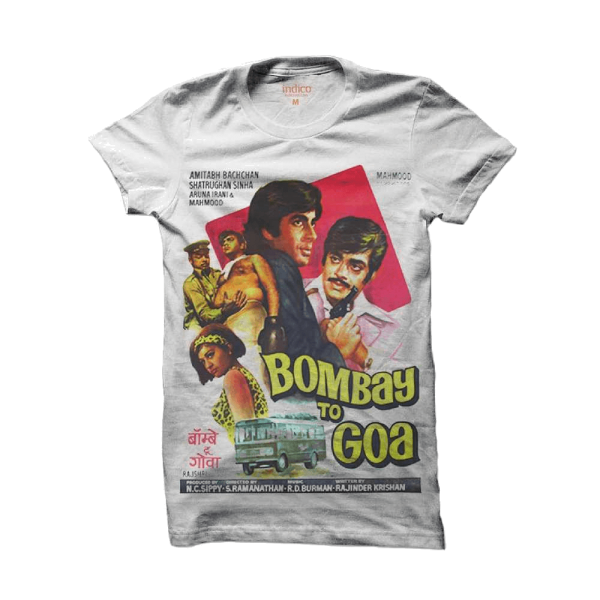 Unisex t-shirt inspired by the Bollywood movie Bombay to Goa starring Amitabh Bachchan and Aruna Irani. Available in a number of different sizes. 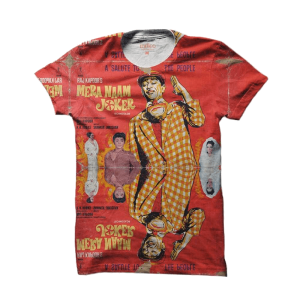 A retro t-shirt that celebrates Big B’s big break. 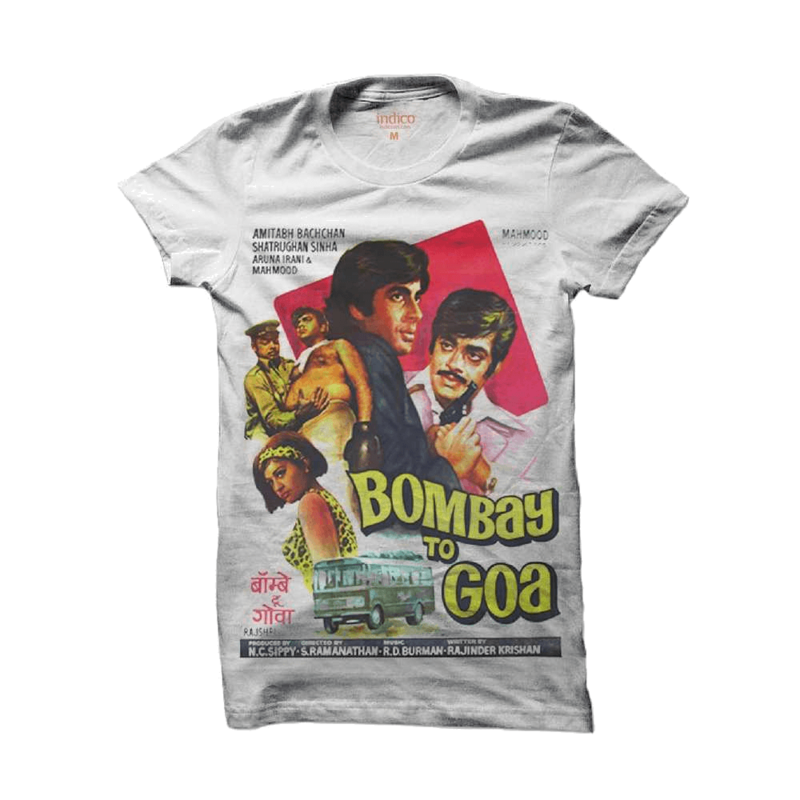 Amitabh Bachchan has had an illustrious career that has spanned decades but Bombay to Goa in 1972 was his first film as the main lead. What followed was a decade of super-stardom. 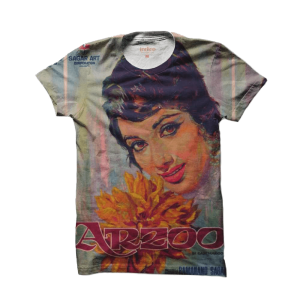 In this movie, he starred opposite Aruna Irani and the t-shirt is a print of the movie poster. This t-shirt is only available to customers in the UK and comes in small, medium, large and extra large sizes. Postage and packaging is free and delivery will take between 3-5 working days. This t-shirt is included in our Buy Two Tees for £40 special introductory offer.